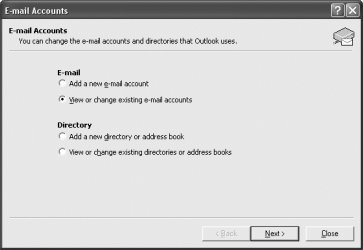 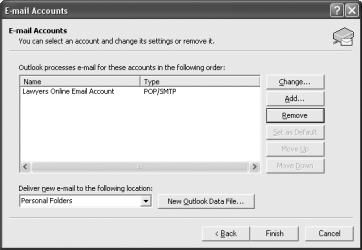 Click 'E-Mail Accounts' in the Tools menu to open the Accounts window. 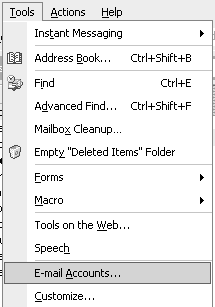 You may have to click the double-arrow at the bottom of the menu to expand the menu to display this option. 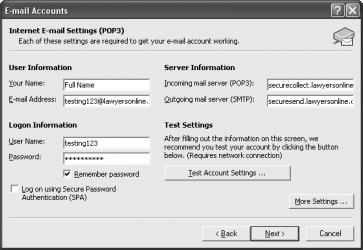 In the 'E-mail Accounts' window, make sure that your Incoming mail server is set to securecollect.lawyersonline.co.uk. 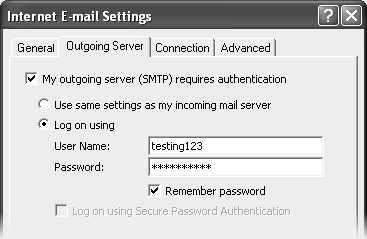 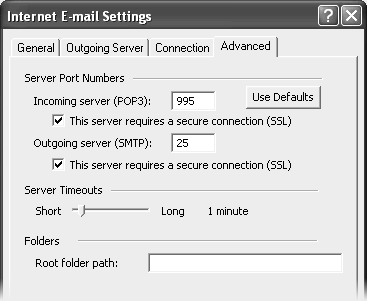 In the 'E-mail Accounts' window, make sure that your Outgoing mail server is set to securesend.lawyersonline.co.uk.